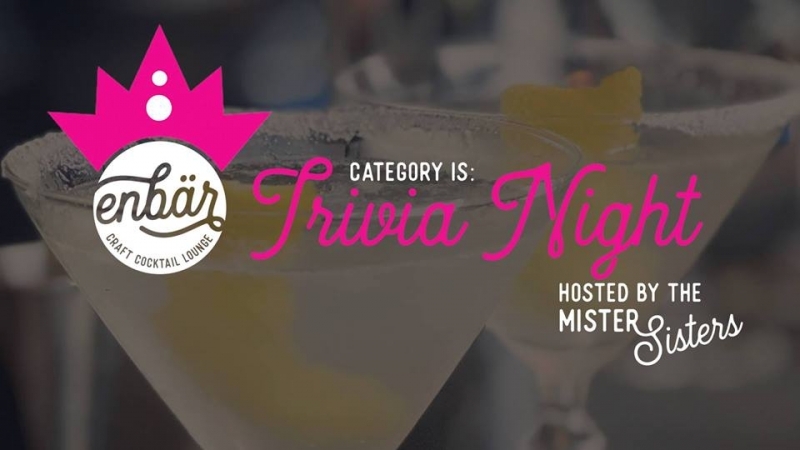 Join The Mister Sisters every month at Enbär for Category Is: Trivia Night! ! When: January 7th, February 11th, March 11th, April 8th, May 13th, June 10th, July 8th, August 12th, September 9th, October 14th, November 4th, December 9th. Get your team ready! We're back for 2019 and we want you and your team to join us for comedy, live performances, and of course, trivia at your favorite craft cocktail lounge! Be sure to bring some bills to tip your favorite queens, servers and bartenders! Trivia starts a 7pm but we recommend arriving early to ensure getting a spot as we always reach capacity! Prizes will be awarded for the top teams at the end of the evening.